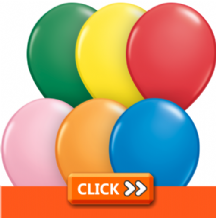 Assorted Colour Balloons - Assorted Colour Balloons at Wholesale Prices. Wholesale Assorted Colour Balloons. 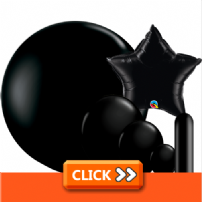 Black Balloons - Black Balloons at Wholesale Prices in all Sizes. Wholesale Black Balloons. Blue Balloons - Blue Latex Balloons & Blue Foil Balloons in all sizes. Blush Balloons - Blush Latex Balloons & Blush Foil Balloons in all sizes. Brown Balloons - Brown Latex Balloons & Brown Foil Balloons in all sizes. Burgundy Balloons - Burgundy Latex Balloons & Burgundy Foil Balloons in all sizes. Citrine Yellow Balloons - Citrine Yellow Latex Balloons & Citrine Yellow Foil Balloons in all sizes. Clear Balloons - Clear Latex Balloons & Clear Bubble Balloons in all sizes. Coral Balloons - Coral Latex Balloons & Coral Foil Balloons in all sizes. Gold Balloons - Gold Latex Balloons & Gold Foil Balloons in all sizes. Goldenrod Balloons - Goldenrod Latex Balloons & Goldenrod Foil Balloons in all sizes. Green Balloons - Green Latex Balloons & Green Foil Balloons in all sizes. Grey Balloons - Grey Latex Balloons & Grey Foil Balloons in all sizes. Ivory Balloons - Ivory Latex Balloons & Ivory Foil Balloons in all sizes. Lavender Balloons - Lilac Latex Balloons & Lavender Foil Balloons in all sizes. Maroon Balloons - Maroon Latex Balloons & Maroon Foil Balloons in all sizes. Navy Balloons - Navy Latex Balloons & Navy Foil Balloons in all sizes. Orange Balloons - Orange Latex Balloons & Orange Foil Balloons in all sizes. Peach Balloons - Peach Latex Balloons & Peach Foil Balloons in all sizes. Hot Pink Balloons - Hot Pink, Fuchsia & Magenta Latex Balloons & Foil Balloons in all sizes. Pink Balloons - Pink Latex Balloons & Pink Foil Balloons in all sizes. Purple Balloons - Purple Latex Balloons & Purple Foil Balloons in all sizes. Red Balloons - Red Latex Balloons & Red Foil Balloons in all sizes. Rose Balloons - Rose Latex Balloons & Rose Foil Balloons in all sizes. Rose Gold Balloons - Rose Gold Foil Balloons in all sizes. Silver Balloons - Silver Latex Balloons & Silver Foil Balloons in all sizes. Teal Balloons - Teal Latex Balloons & Teal Foil Balloons in all sizes. Turquoise Balloons - Turquoise Latex Balloons & Turquoise Foil Balloons in all sizes. White Balloons - White Latex Balloons & White Foil Balloons in all sizes. Wintergreen Balloons - Wintergreen Latex Balloons & Wintergreen Foil Balloons in all sizes. Yellow Balloons - Yellow Latex Balloons & Yellow Foil Balloons in all sizes.